Maharani Kishori was the wife of Jat Maharaja Surajmal of Bharatpur State in Rajasthan, India. She belonged to Hodal and was the daughter of Ch. KashiramSorout. 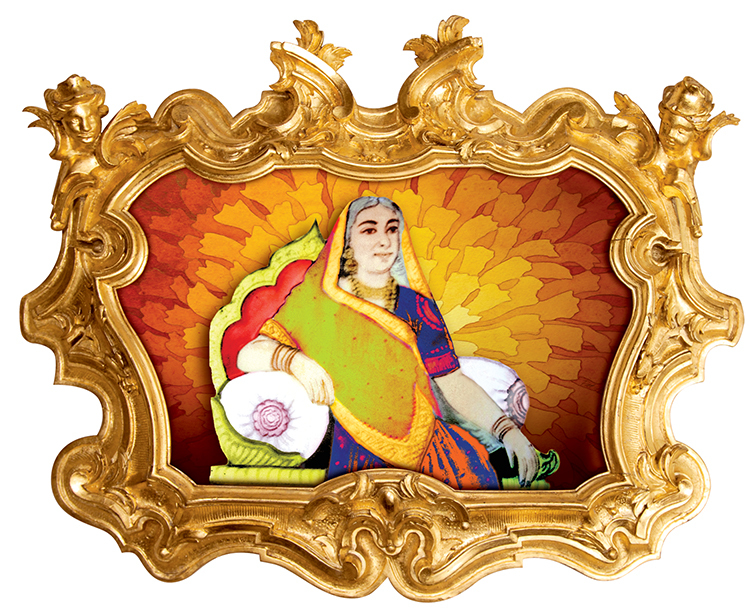 Maharani Kishori has a pride place in the history of brave women of India. She is a symbol of pride for the local populace. She was a source of inspiration for the Maharaja Surajmal and had played an active role in administration of state. Maharani Kishori had played an important role in running the administration of Bharatpur state. She played the role of patron to the Bharatpur state for three generation even after Maharaja Surajmal. Indian society venerates women in various roles as a wife, as a sister and specially as a mother. Mother plays a significant role in the development of a child. Her personality and character determines the future of child to a large extent. Hence it is sine - quanon to educate women for achieving enlighted societies. The founder of this society, Ch. Rajender Singh was himself highly qualified with B.Sc. (H) Agriculture in 1944 from Layalpur, Lahore (Now in Pakistan), a reputed leader and renowned social worker, embarked on the mission of establishing the women college with the help of enlighten and benign benefactors. M.K.M. Group of Colleges are under the MKMKM education society that it continually reflects and introspects on the quality of its engagement and its commitment to innovation. This community of inspired faculty and talented students learn and grow together to shape a dynamic energy field in this rural BrijBhumi. The imperatives of the global and the local are imaginatively and sensitively blended even as best practices are crafted. There is a palpable sense of the urge to participate in processes that usher in a new and more humane world.